Evenly apply a suitable amount of product on washed damp hair. Leave to work for 10 to 15 minutes, comb through, then rinse. 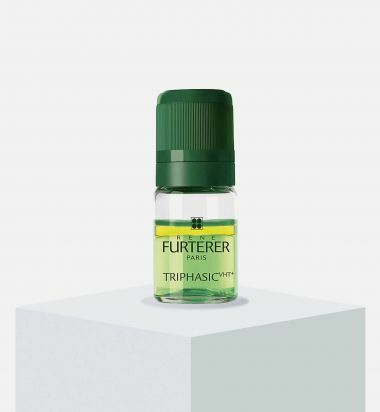 Rene Furterer's Triphasic 4-Step Kit is designed for progressive-hereditary thinning hair. 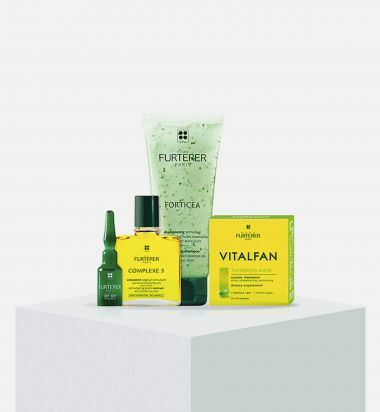 This set combines plant extracts with essential oils to ensure a healthy scalp and promote stronger, thicker hair. 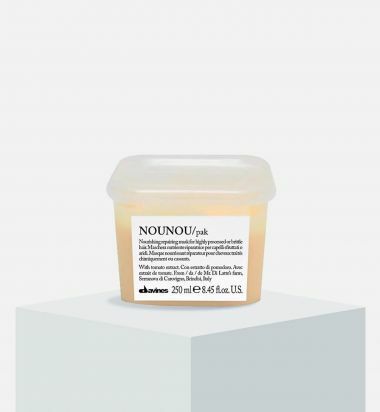 This deep cleansing action is created with a blend of 53% pure essential oils of orange and lavender to tone the scalp, remove impurities, and strengthen hair from the root. 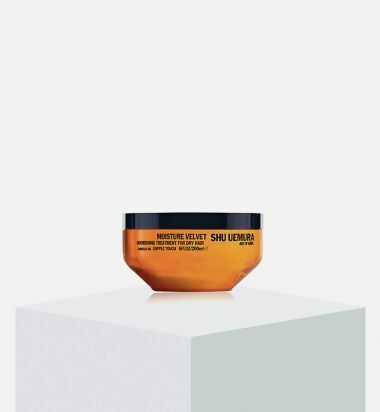 This formula prepares the scalp for thinning hair treatments by increasing microcirculation. 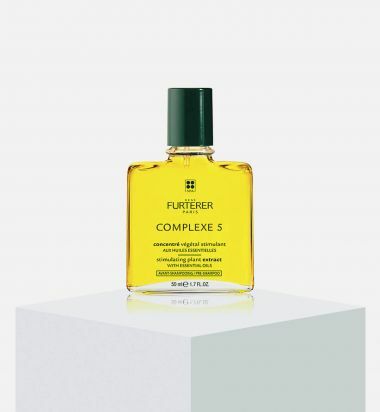 This shampoo actively cleanses the hair while encapsulated essential oils boost scalp microcirculation, enhancing the efficacy of thinning hair treatments. 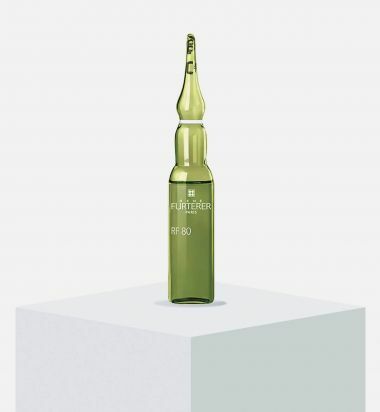 This serum targets the three factors responsible for hereditary hair thinning (vascular, hormonal, and tissular) to encourage thicker and healthier hair. 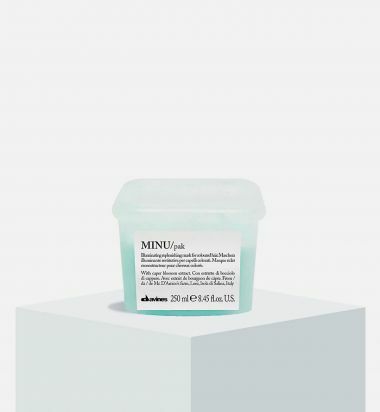 This exclusive formula combines plant ingredients, vitamins, and minerals to deliver action against the loss of hair density. Includes regenerating plant extract, shampoo, serum, supplement. 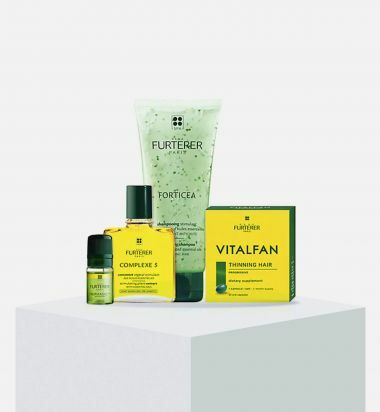 Rene Furterer's RF80 4-Step Kit is designed for sudden-temporary thinning hair. This set combines plant extracts with essential oils to ensure a healthy scalp and promotes stronger, thicker hair. This serum targets the two factors responsible for sudden hair thinning (vascular and nutritional) to encourage thicker and healthier hair. This exclusive formula combines important nutrients to encourage thicker and healthier hair growth. Illuminating and regenerating maskideal for coloured hair. 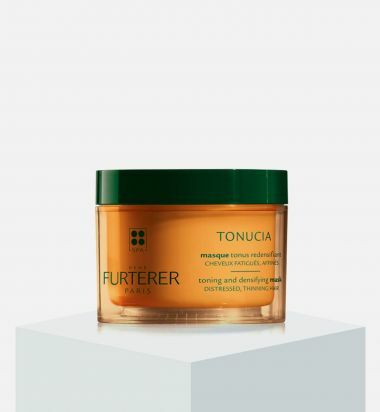 Its formula is designed to deeply nourish coloured hair, making it soft and silky, and improves the duration of cosmetic colour - without weighing hair down. Hereditary thinning hair, caused by genetics, most commonly affects men. TRIPHASIC VHT counteracts thinning hair with a convenient, natural and scientifically proven triple patented formula that specifically targets the three major causes of hereditary thinning hair: Vascular, Hormonal and Tissular. It works directly on these factors with three active phases that result in stronger, faster and noticeable hair growth. Use twice a week for the 1st month and then once a week for the 2nd and 3rd month. Step 1: Turn the cap all the way to the right to release the powder. Shake vial to mix the ingredients. Step 2: Apply with the applicator tip to a clean scalp. Massage into the scalp concentrating at the crown. Do not rinse. Proceed to styling. Use once a week. Apply to a dry and unwashed scalp. A warm sensation on the scalp may occur. Do not use on a sensitive scalp. Not recommended 3-4 days before or after an in salon chemical service. Not recommended for pregnant or nursing women. Step 1: Apply onto the entire scalp section by section. Step 2: Massage into the scalp and leave on for 5-10 minutes. Step 3: Shampoo. Collection for dry hair that rebalances the moisture of hair and creates a velvety texture and supple touch from roots to ends. Rich in essential lipids, each formula protects the hair fiber from drying out. Dry hair is left soft and smooth with high shine. 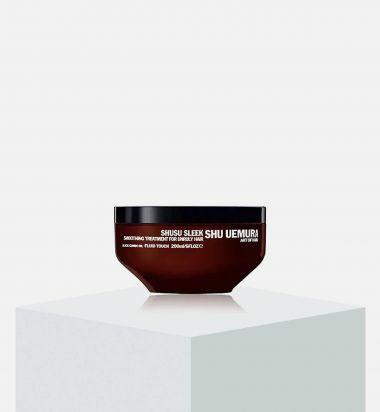 Hair masque that rebalances the moisture levels of dry hair and leaves strands with a velvety texture that is supple from mid-lengths to ends. Rich in essential lipids, the hair masque protects the hair fiber from drying out. Safe on color-treated hair.